I love traveling and everything that comes with it, from discovering new places and learning about new cultures to the special treatment you receive as a tourist. The experience is as important as the destination and countries who value their tourism industry make it a priority to make a tourist’s experience special. 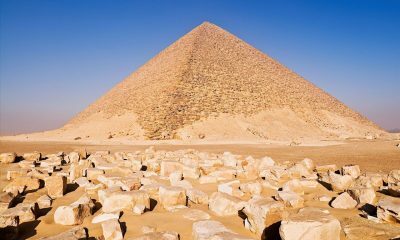 As an Egyptian, I have always encouraged my friends and colleagues to visit Egypt but I sometimes fret about their experience. My country has so much history and beauty to offer but unfortunately does not invest enough in ensuring a tourist’s journey – whether entering a museum or just walking down a beautiful street – is memorable. The guide I have developed below is not based on reality, but rather on a hopeful vision I have for what my beautiful hometown’s top attractions could offer if given the proper attention. 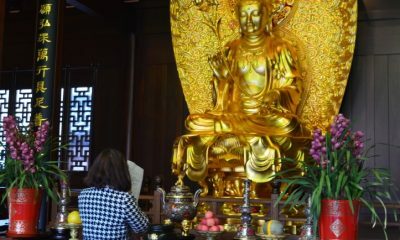 While my description is only imagined, I do hope it will encourage those in charge to invest time and energy into transforming all attractions according to their full potential. Naturally, this has to be at the top of the list for any visitor to Cairo. From start to finish, the visit delivers a truly awe-inspiring experience. The well-organized parking area is cleverly marked with the names of different pharaohs and hieroglyphic symbols to mark your row and line and beautifully decorated train cars transport visitors to the entrance of the pyramids plateau. Everything mirrors Egypt’s ancient civilization, from the ticket vendor dressed in full costume to the clever use of hieroglyphics on all signs. Large pillars line the pathway from the parking lot to the entrance of the plateau and everything is written in hieroglyphics, Arabic and English, with the ancient language being the first one on top. At the tickets window, you are greeted with an Egyptian in a full pharaonic costume, with a big smile on her face. Once you go inside, you feel like you’ve traveled 4,000 years back in time. Your first stop is a small ancient Egyptian village, fully functional with an ox operating a water mill and a small market for Egyptian pottery. Even the bathrooms, information office and locker rooms seem to blend in perfectly in the village, as if they were invented by ancient Egyptians. After you take a picture with your favorite pharaoh king or queen at the entrance, you pass another smaller gate, guarded by two obelisks, and the sheer magnitude of what you see dwarfs you. You are standing in full view of the pyramids of Giza, guarded by the world’s greatest and most loyal creature, the Sphinx. 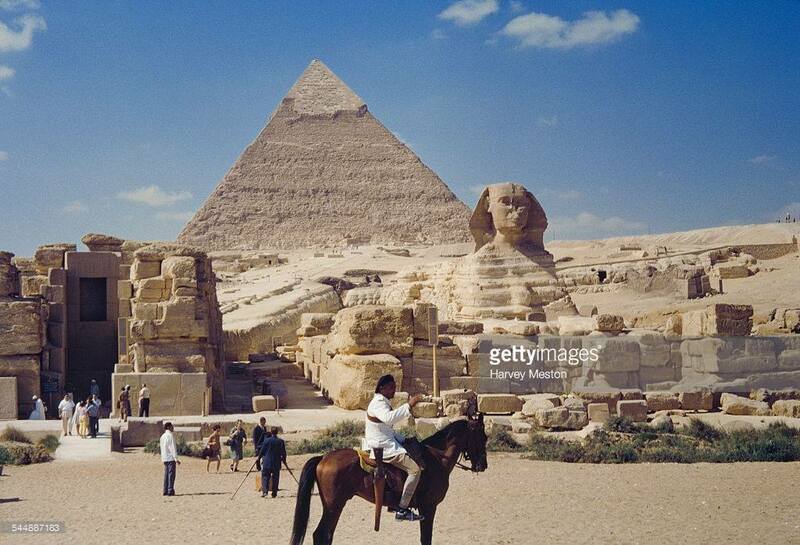 You can either hop on to one of the chariots, drawn by beautifully clad horses in gold-colored saddles to take you up to the first pyramid, or you can choose to walk along the beautifully laid path, with marble statues of ancient Egyptian gods watching over you along the way. In front of each pyramid is a small cobblestone plaza with speakers playing audio in 3 languages, giving visitors some facts and figures about the pyramid and its history. 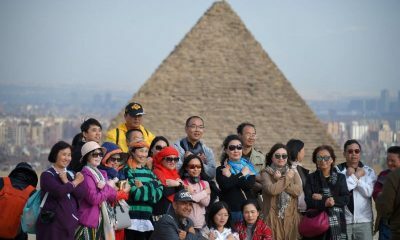 At the third and largest pyramid, you buy another ticket to enter the pharaoh’s tomb – an incredible experience in itself. 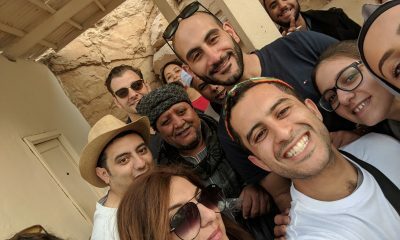 Before you leave the plateau, you can stop at the foot of the pyramids’ protector, the great Sphinx, where you can hear all about the historical events it has witnessed and protected the pyramids from over the millennia, starting from raids by grave robbers, to the cannon bombing of Napoleon. By the time you are done, the exit to the parking lot seems like walking out of a time machine. You would have spent half a day experiencing the greatness of ancient Egypt. If the Louvre is the world’s greatest art museum, the Egyptian museum is its greatest history museum. While the exterior of the building retains some of its heritage and looks authentically old, the interior of the museum is spacious and modern, allowing you to admire the historical artifacts in style. The museum is laid out like a walk through time, starting with the old kingdom all the way to the Graeco-Roman rule of Egypt. The artifacts are well preserved and displayed in neat glass displays, with the year and the story behind each market clearly under it on a copper plaque. The audio recording and headphones you receive at the entrance to the museum are programmed to tell you the story of each artifact as you stand in front of it. When you reach the room of the mummies, make sure to watch the video on how mummification was done before entering to admire the accuracy of the process. The mummy room is an experience in itself; it makes you feel like Indiana jones with the music and the lighting. If you are interested in taking it up a notch, enter the mummy tomb room before you leave, a clever attraction modeled on the haunted houses of theme parks, just for fun. After you finish the walk through thousands of years of history, don’t forget to stop by for a bite at the restaurant of Tutankhamun before you leave. It is a unique experience, complete with Pharaoh waiters, food served in clay bowls and gold plated cutlery! The Nile is the second longest river in the world but a ride down the Nile is second to none. There are several locations where you could start your boat cruise, and my favorite is from the dock in front of the famous TV building in Maspero. A boat sails from the dock every 15 minutes, so the wait is never too long. Once you get there and get your tickets, you walk onto a boat shaped like an Ancient Egyptian river boat, complete with curved hulls and decorated masts. Since the sun shines on Cairo most days of the year, even during the winter months, I suggest heading to the upper deck. Once you take your seat, you are given a choice of 10 languages to listen with to the guiding audio through your earphones or you can choose to listen to the master audio playing on the boat in both Arabic and English. The ride is a joy in itself – just watching the blue water of the Nile and hearing about the gift of the river to that great country. 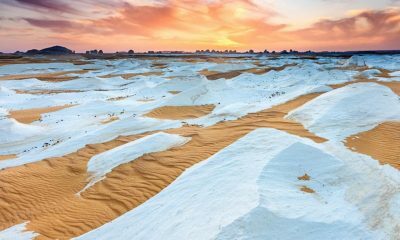 The ride takes you all the way north to the lush gardens of Kanater and south to the borders of the city of Fayoum, one of the most fertile lands in the world. You can hop on and off the boat at the different stops and just walk around or enjoy the scenery. My suggestion is to hop off on the Island of Gold park right before Maadi as you head south and just sit in the park to enjoy a coffee and amire its width in a picturesque mix of blue and green. 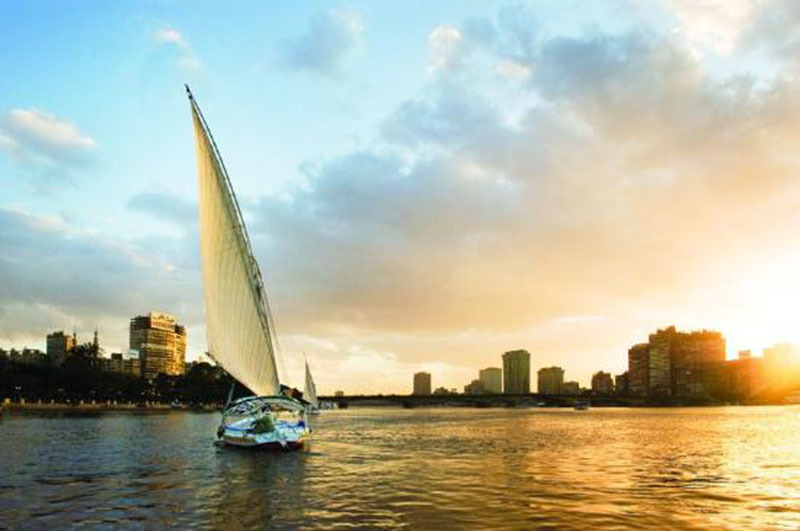 The boat operates well into the evening, when the breathtaking sight of Cairo’s skyline dancing on the water of the Nile is certain to inspire the romantic in you. 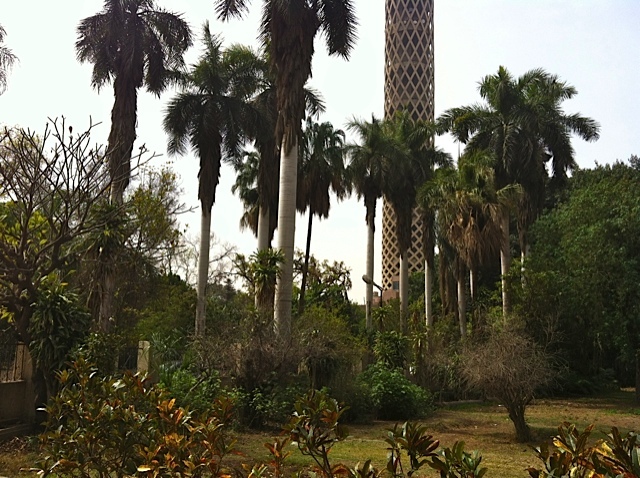 Despite its long history, this midtown city gem is a new addition to the touristic scene in Cairo. It is in the middle of the island neighborhood of Zamalek, a short walk from 5-star Marriott hotel, which was once a historic palace. What makes this place so magical is that in the middle of the hustle and bustle of the Cairo metropolis, this place has an immediate ability to soothe your senses with its centuries-old trees, the chirping sounds of the birds that inhabit them and the serenity of the colorful fish swimming along its small lakes and built-in fish tanks. You can take a stroll in the garden anytime of year and enjoy the colors of the season or sit under the shade of one of the huge trees overlooking a lake just to read a book or have a picnic. Try out the treehouse restaurant and cafe which was built high on top of the trees and for which you have to climb an actual 500-year-old trunk. But don’t worry, you also have the option to take regular stairs if you are not in the mood for a tree adventure. 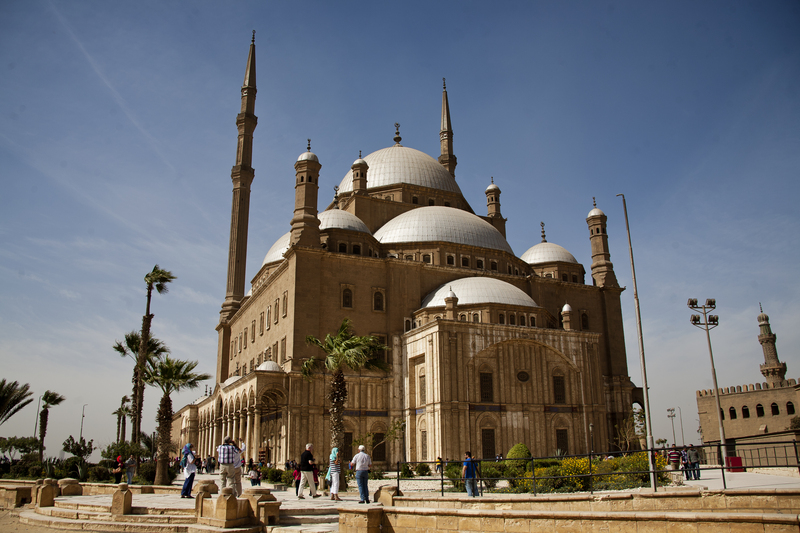 The Cairo Citadel was the seat of power for hundreds of years. It was built by the great Saladdin and housed some of the most influential rulers of the world during its time. The location indicates exactly that, as it was built on a hill high above what was a much smaller Cairo at the time and you had to go up a steep road to enter. That made the Citadel ideal for a ruler to showcase his power, as well as for the defenders of the fortress to hold it, should the need arise. While it is not as grand as the Versailles Palace, it is a showcase of one of the golden ages of Egypt. The palace counts the great emperor Saladdin and the founder of modern Egypt Muhammad Ali Pasha among its royal list, although Saladdin died before its completion. There is a parking area on the other side of the road, from which you take a scenic walk up an escalator in a glass tube, overlooking the old city of Cairo and the bazaar, to the entrance. Make sure to get a map of the place and an audio guide, which informs visitors of the history of each of the rooms, art pieces and the rulers that occupied it over the decades. Visit the hall where Muhammad Ali Pasha is known to have executed all of his opponents in a notorious dinner and hear the story. After you finish, head to the cafe at the top of the Citadel to enjoy a view of Old Cairo, before you head out to the Grand Bazaar of Khan el Khalili. Cairo is one of the oldest megacities on the planet, and was once one of the world’s major centers of commerce and learning. A walk down Old Cairo gives you a glimpse of both these aspects. Old Cairo can be arrived on foot from the Citadel’s parking lot or by taking a taxi or another mode of transport that can drop you off at one of the area’s many entrances. The area is sealed off to pedestrians year-round and is comprised of several great touristic and shopping sites. Visit the Azhar mosque, where you can admire the interior (make sure to be dressed appropriately) or walk up to the grand balcony overlooking it and watch as people pray during one of the day’s five prayers. From there, a short walk will lead you to the old Azhar University building, the center of Islamic studies and once the “Harvard” of the Middle East, where the greatest scholars studied and research was published. 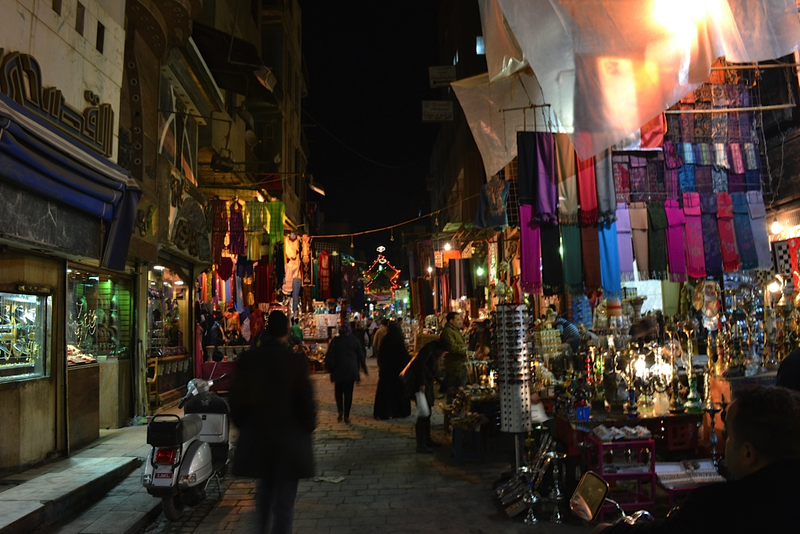 A leisurely stroll through the narrow streets of Khan el Khalili, one of the world’s largest and oldest open bazaars, is also not to be missed. You can buy invaluable souvenirs exhibiting traditional Egyptian craftsmanship and stop at any of the several kiosks to sample the local cuisine, all while admiring the old city’s authentic architecture, complete with arabesque windows. When you grow tired of walking, take a seat at one of the many traditional Egyptian cafés lining the bazaar’s streets, the most famous of which is El Feshawy, where Nobel laureate Naguib Mahfouz would dedicate hours to his iconic literary works. Housing some of the country’s most significant institutions, including the Arab League headquarters and the massive Mugamaa that once served as the government’s administrative center but is now a luxurious hotel, Tahrir Square is the largest square in Egypt. It is where the original Egyptian Museum was located and is the central point between several roads and key routes. Although the name Tahrir – Arabic for “liberation” – was given to the square in the early decades of the 20th century, its recent glory came from living up to its name when it became the birthplace of the Egyptian revolution in 2011. 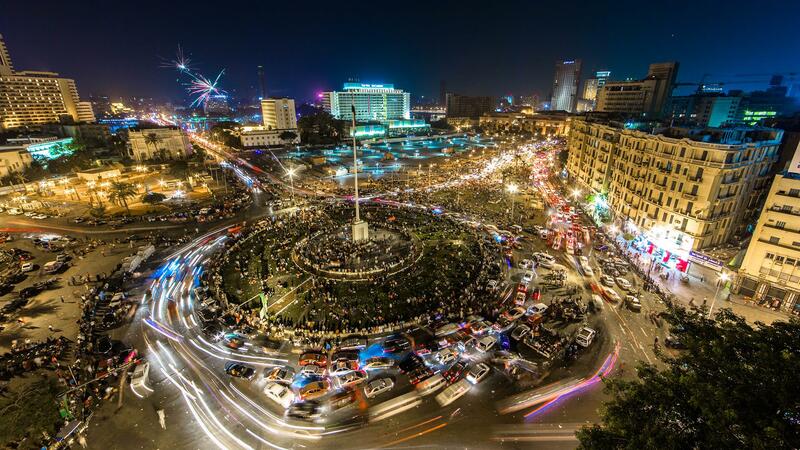 The image of millions of young Egyptians flooding the square for the historic 18 days of the revolution will forever be remembered for reshaping the country. Now, visitors wishing to get a taste of that historic moment in time can access the square by passing under the watchful gaze of the two stone lions guarding the Qasr El Nil bridge opposite the square. Once you arrive at the square, now a huge pedestrian plaza, you can choose to walk around and buy revolutionary souvenirs or you can take the revolution tour, which gives you audio equipment and 3D glasses to recreate the 18 days of the revolution. The walking tour is guided by audio descriptions that take visitors from one location to the next, explaining how history unfolded in this very place not too long ago. The above list is by no means exhaustive. 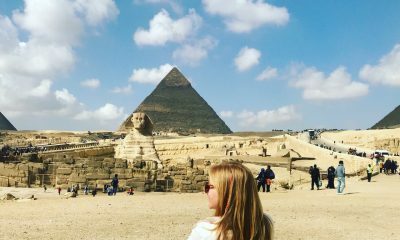 There is so much more to see and visit in Cairo and there is so much we can do to make visiting Cairo a great experience, as it deserves to be. Like everything else in Egypt, the resources and opportunities are abundant – what is needed is a vision and a plan to make use of them. 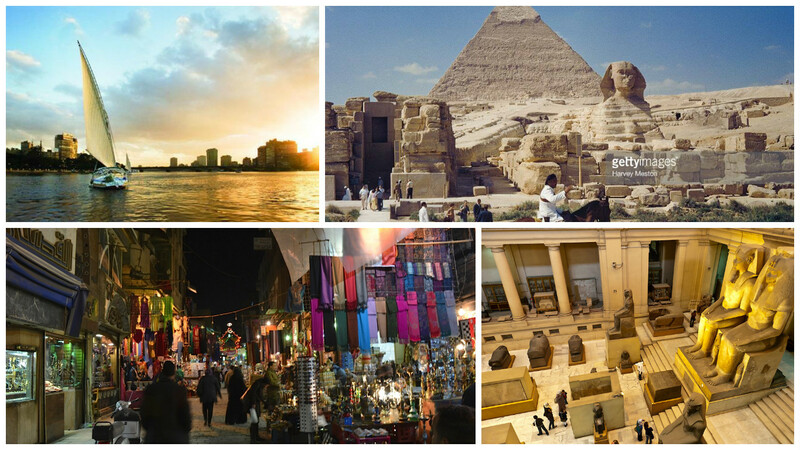 My hope is that we can start by making visiting Cairo a truly great Egyptian experience.